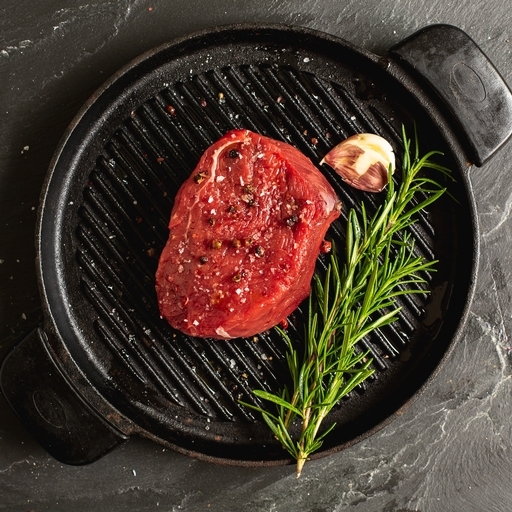 Treat yourself to our restaurant-style thick cut fillet steak. You can taste the quality of our organic grass-fed beef, and this is the ultimate cut – lean but buttery-tender. Grill, griddle or fry in minutes, for a really special but ultra-quick meal. Also good for steak tartare or cut wafer thin for carpaccio. Remove the steaks from the fridge 20 mins before cooking. Season generously, brush with oil and griddle or fry in a hot pan for 3-4 mins per side for medium-rare. For well done, turn the heat down and cook for a couple more mins. Let them rest somewhere warm for at least 5 mins before serving.